Please contact Zack personally for a FREE quote. Do you need a comedy magician that is guaranteed to be fun and memorable? Zack provides visual magic, comedy, sleight of hand, mentalism/mind reading and humorous escape artistry, often all in one performance! Zack has been performing the art of magic all over the USA, and on 3 other continents for over 25 years. Now he can perform for you!! Zack not only makes you look good for finding him, but he makes things easy for you by being quite possibly the easiest and most flexible entertainer you could possibly work with. On top of it all, Zack's show comes complete with a full 100% satisfaction guarantee! 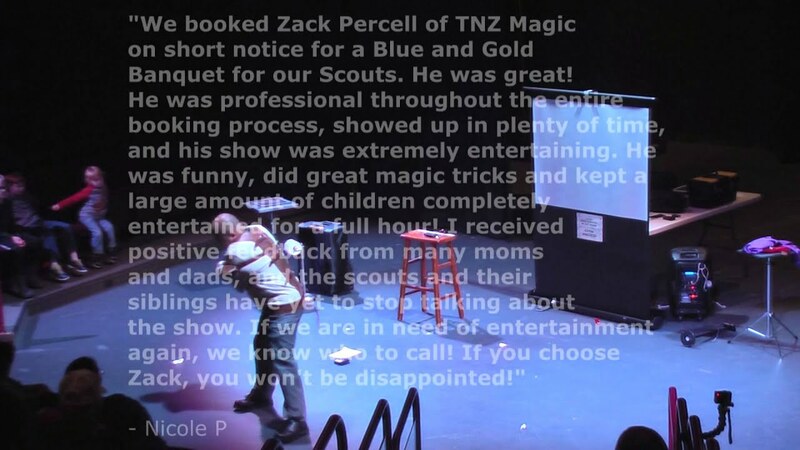 Ask for a FREE QUOTE from TnZ Magic NOW! Zack was very professional and timely! He was Very entertaining and a great magician. The kids (and adults) had a great time and were very amazed!! His last trick was a huge surprise!! Great Job, thank you Zack! Zack was funny and entertaining ! All my guests enjoyed Zack and he amazed them with his mind games and magic! Arrived promptly to be set up on time, and visited with guests while performing magic at the end of his show. Zach did an amazing job. He was very entertaining, not only for the children, but the adults as well. I would HIGHLY recommend him for your child’s party. I will be using him again. Thank you so much Zach. Strolling magic was so much fun! I had a graduation party with adults and kids and Zack did a great job strollin and entertaining EVERYONE! He was punctual, professional, and so much fun! I would definitely hire him for other events. Zack Percell of TnZ Magic was amazing as he entertained our Tom's Christian Tours groups during our two Mystery Tour weekends this past February. Working with Zack from start to finish was enjoyable and easy. He quickly responded to our messages and made booking our two shows simple and affordable. He was able to come to our chosen venue (even through a snowstorm!) and was set up and welcoming as our 100+ senior citizens arrived for the show. And the show!...it was incredible. He kept everyone smiling, involved, and attentive during his 90+ minutes show. All of our guests left happy and impressed. Zack was truly an asset and a memorable part of our Mystery Tours. Thank you Zack! Zack did a great job at entertaining the guests at our party! We hired Zack for a hospital staff Christmas party. His act was amazing. His combination of humor and magic kept the whole crowd entertained the whole time. I really LOVED the "stolling magic" where he does up close tricks for people as they mingle during the party. People absolutely loved this part of the entertainment. He is a personable guy. He was punctual and didn't require anything from us as far as setting up. Very professional. I would highly recommend him and his act to any party or gathering big or small. Very reasonable price. Zack did a show for my son's 9th birthday party. All of the boys were stunned by his tricks and were entertained the whole time. Zach was great to work with and I would recommend to anyone who is looking for a great, entertaining event! Zack did a great job entertaining the students at our post prom. He was able to make them laugh as well as keep them wondering about his tricks the entire show. Many students were left in awe. I would recommend him for entertainment and the teenagers loved it! Great experience with and highly recommend Zack. He is magic to work with. Zack was a great addition to our family friendly Halloween Party. He involved the audience and kept everyone engaged throughout his performance. Zack arrived on time and was ready to perform as we had discussed. I highly recommend Zack for your party. My 6 year old daughter recently became interested in magic and has been performing her own basic magic tricks at home. So the theme of her 6th birthday was "magic". 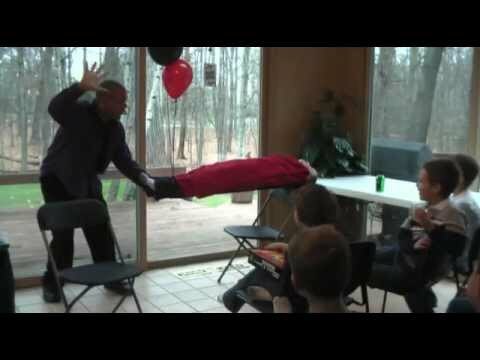 We decided to spend the weekend at the Kalarhari in Wisconsin Dells for her birthday party, and wanted to surprise everyone with a real life magician to boot! I contacted Zack and couldn't have been more pleased with his response time and ability to help us figure out what we needed. Although we weren't going to have too many kids there and our 6 year old would be the oldest, Zack was easily able to tailor his show to keep the small group of young children completely enthralled with his performance AND keep the larger group of adults entertained, laughing, and still a couple weeks later, in awe of the show. Although we were in a hotel suite, is was easy to see that Zack's show could easily be adapted to any size venue. I would highly recommend Zack for any children's party/event and could easily tell that his skills and performance would be well suited for an audience of only adults as well. I could not possibly have been more satisfied with the service we received beginning with the very first email contact. Zach performed at our annual daycare Christmas party. The children were completely under his spell from the start of the show to the end. We were a tough crowd too....with a mixed age group of kids from infants & toddlers up to 4th and 5th graders. I would highly recommend Zach. He was on time, very professional, and a lot of fun! Zack was amazing and keep both the children and adult attention! The magic was great and the audience loved it. Good comedy with lots of laughs as well. Zack was able to ad lib as he got to know the crowd, and built a trick around a present given to one of our staff. We would definitely book him again if the need arose. Awesome Magic Show for 8yro boy's birthday party! We hired Zack for our 8yro son's birthday party. Zack's Magic Show and the Magic Trick Teaching Lesson were fantastic! Our son, his friends and adults all loved the show which was fun, energetic, educational, audience involving and all along FUNNY. We all were amazed at the tricks and laughed through out the show. Zack and his show were just as advertized on his website. He came 25min early and was ready to start before scheduled time. Zack was professional and courteous from the initial phone/email conversations all the way to the end. You can trust Zack to provide your party guests with great magic and lots of laughs. The day after the birthday party one of my son's friend's Dad told me: "All I keep hearing about is how great the Magician was!" We will definitely recommend Zack to anyone seeking a Magician. Zack recently performed for my son's 6th birthday party. The show was wonderful! He had a great personality that the kids really enjoyed and the show was engaging even for the adults. He was professional and reliable with great follow up throughout the scheduling. I would definitely recommend this show. Zack performed at my son's 11th birthday party recently and did an exceptional job. He arrived early for set up, was professional, but was also approachable and funny with the kids. Not only did his presentation of magic WOW everyone, but he was very considerate...took time to teach all the boys some magic tricks and left them each with some little gifts of magic that they loved. He was terrific and we will likely be hiring him again soon! I highly recommend him for any event. We had Zack come for my aunt and uncle's 30th anniversary party, and he was a big hit! We had over 50 guests of all ages and everyone was amazed. 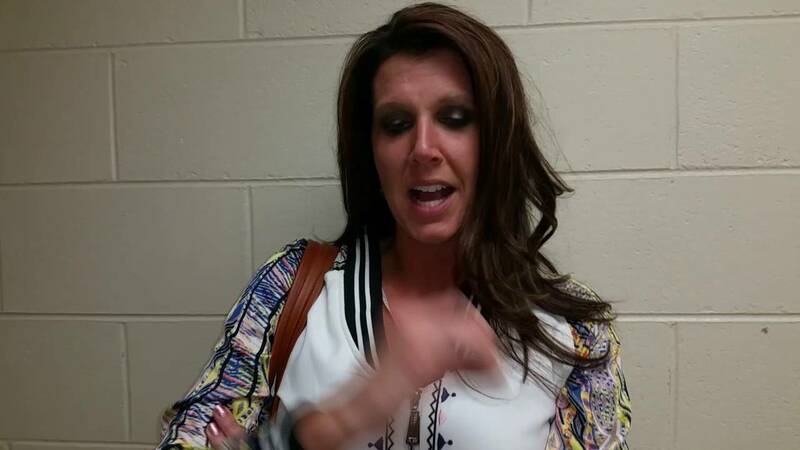 The guests STILL talk about how good the show was and it was almost a month ago! One of the biggest questions is 'where the heck did the lit cigarette go' lol. Everyone enjoyed the show so much, lots of the adult guests are planning on hiring Zack for some of their parties. Zack is a delight to work with. His shows are funny and exciting for people of all ages. I have been looking for a magician and I am so glad we found Zack, we will definitely be having him come back. He is the ultimate professional and wonderful magician. Zack performed for our daughter's 5th birthday party. He thoroughly entertained the children, parents, and grandparents alike. He is extremely talented and professional, and I would highly recommend him to anyone looking for entertainment for any gathering. Great entertainer for my childrens birthday party! We hired Zack for our twins 6th Birthday party. He did an excellent job, is great with kids, and was entertaining for the adults as well. We all enjoyed the show. He was very interactive with the children and they were even able to participate in some of the magic tricks. The birthday girls were even given a nice gift by Zack, which was very nice. The kids all loved it, it was the calmest they were for the whole party. Excellent show for all ages! Magic Zack performed at our daughter's birthday party with many family and friends present. There were kids from 6 years old up to 12. Zack was able to keep everyone's attention and amazed the kids. He did rope magic and many other cool magic tricks. He even taught the kids a magic trick.The kids favorite part of the show was when he made a dove appear. We would recommend him for any party. You will not be disappointed! Price Range: Please contact Zack personally for a FREE quote. Want to see Rubik's Cube magic tricks and feats like you've probably never seen before and ones that even make professional cubers' jaws drop? Want to see a live dove instantly appear in an instant before your eyes? Want to see a light bulb powered by the mind of an audience member while I instantly read their mind and tell them what they are thinking! A perfect blend of comedy and theatrical magic is what you get when you book me! These are a few examples of the things you might see when you see me perform my stand-up show. My various programs include dozens and dozens of other effects. Some of my original routines have never been seen anywhere but in my show, and some have been seen on national TV! Past clients have said that my close-up (strolling/street) magic is professional, mind blowing visual entertainment at its BEST! 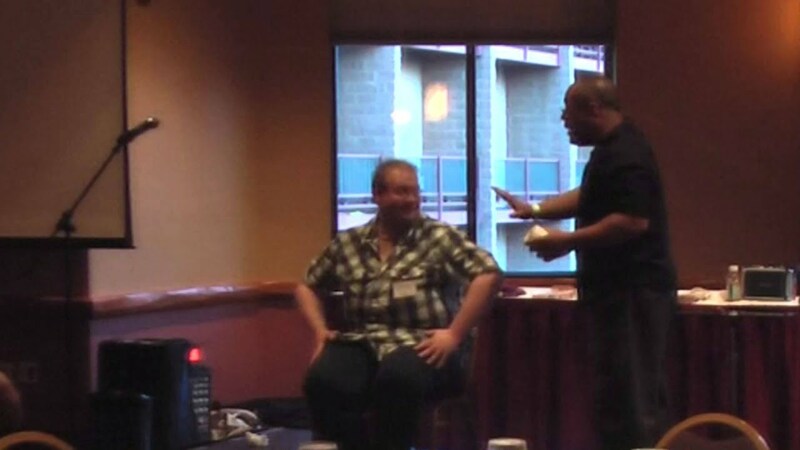 I am a sleight of hand expert with over 25 years of experience entertaining LIVE audiences. See the looks on their faces when I make a penny grow gradually to 30 plus X its normal size - figure out the name of a thought of celebrity and then cut out a silhouette of their face in a business card - cause objects to float just inches from audience member's faces - have an audience member take out a one dollar bill of their own, write the serial number down (the bill's finger print) rip the bill into quarters, them self, and watch as I put it back together with my bare hands! They will never forget it! I occasionally change five $1 bills into five $100 bills INSTANTLY before your eyes, then immediately hand them out for inspection, and MUCH MUCH MORE! Book me to find out why my clients say that I am not just a magician, but a true professional entertainer! “Thank you so much for a great performance at Jack's 7th birthday party! It was amazing that you were able to keep the pure attention of 35 people from age 2-60! Everyone had a wonderful time and your show was a blast. The kids have been talking about it nonstop and we have received several calls from parents stating how much their child enjoyed the show and how they want to have the same party when it's their birthday! You not only showed us great magic, but you also a provided a funny show. I have not ever seen so many kids so involved, concentrating and quiet at one second, to giggling out of their minds the very next second. All the kids also really enjoyed their magic goodie bags. It kept them busy the rest of the party and they were so excited to show their parents magic tricks when they got home. It was an all around success and that is thanks to you. We have seen other magicians, but you were by far the best. You are a credit to your profession and have an a! mazing talent to entertain. You were so good to the kids and we can't thank you enough. 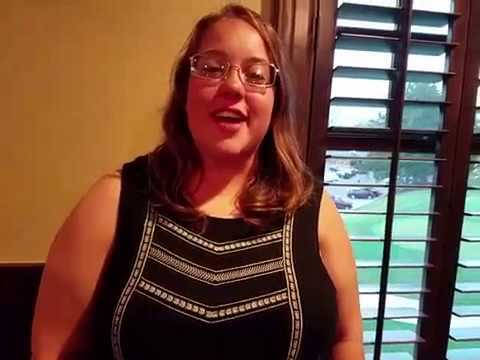 “I have received nothing but compliments from my fellow employees on our holiday party, last Saturday evening! They are still talking about how much fun they had! Thank you for creating a very successful evening for our employees. "All of us enjoyed your show immensely! It was something different for us, and you were so much fun." “Your Magic show was spectacular and added an exciting element to our nature show. The children and adults loved it, and we are all in awe of your talent. parents glued to the show the entire time. My daughter, all her friends, and parents loved the show, and several guests commented that this was the best party they have ever attended!